The Aquascape Signature MicroFalls™ will help create the most natural looking waterfalls possible. The MicroFalls™ is surrounded with soil excavated from the pond. Out of sight ... out of mind. This two-stage upflow filter serves as a high-capacity biofilter, as well as the starting point of a waterfall. 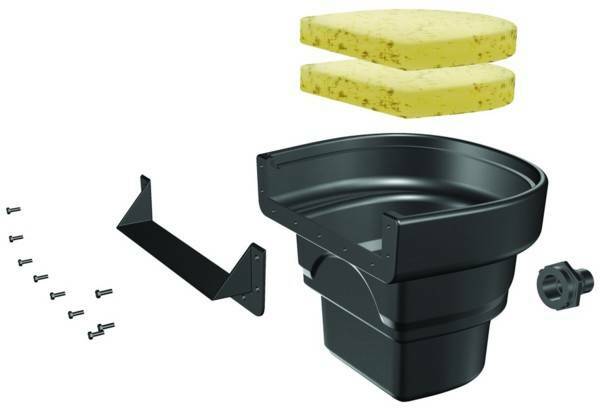 Just like the Aquascape MicroSkim™ Pond Skimmer, this unit is fitted with high-quality, user-friendly components. A plate across the front allows secure attachment of the pond liner. Mechanical and biological filtration is provided by two large filter pads and biomedia (biomedia sold separately) in large mesh bags. Solids can settle in the bottom of the tank.